Horizontal Skyscraper in Shenzhen, China. Photo: © Iwan Baan. LONDON.- The Royal Institute of British Architects (RIBA) is pleased to announce that American architect Steven Holl is to receive the 2010 Jencks Award: Visions Built. The Jencks Award is given annually to an individual (or practice) that has recently made a major contribution simultaneously to the theory and practice of architecture internationally. The presentation of the award will take place at the RIBA on 30 November 2010, followed by a public lecture by Steven Holl, chaired by Charles Jencks. Considered one of Americas most important architects, Steven Holl is recognised for his ability to blend space and light with great contextual sensitivity and to utilize the unique qualities of each project to create a concept-driven design. He specializes in integrating new projects into contexts with particular cultural and historic importance. His work ranges across cultural, civic, academic and residential projects in the United States and internationally. Some of his most acclaimed buildings include the Kiasma Museum of Contemporary Art in Helsinki (1998), the Nelson-Atkins Museum of Art, Kansas City, the Sarphatistraat Offices, Amsterdam (2000) and the Chapel of St Ignatius, Seattle, Washington (1997). Steven Holl Architects have recently won international design competitions including an extension to Charles Rennie Mackintosh's Glasgow School of Art, Cite du Surf et de lOcean, Biarritz and Sail Hybrid, a seaside resort project in the town of Knokke-Heist, Belgium. Steven Holl is a watercolourist, a widely published author and a tenured Professor at Columbia University's Graduate School of Architecture and Planning. In his lecture he will be discussing his work alongside his interest in the poetics of space, colour and material. Steven Holl was born in 1947 in Bremerton, Washington. He graduated from the University of Washington and pursued architecture studies in Rome in 1970. 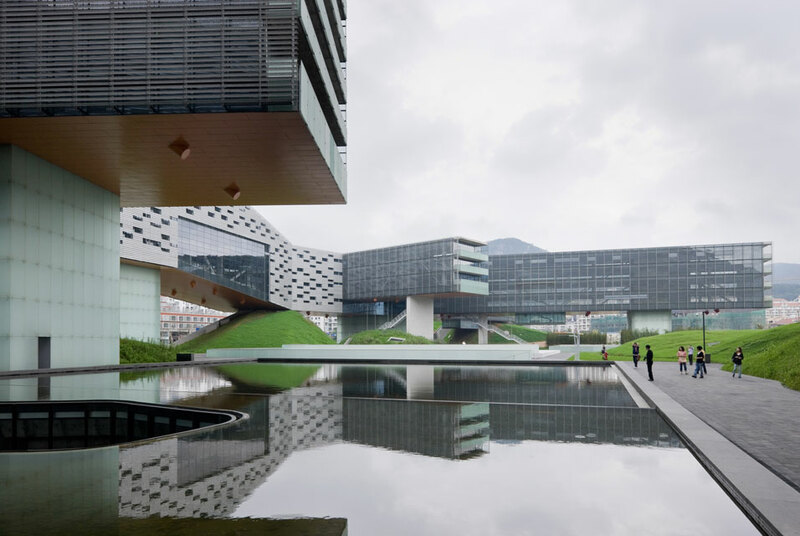 In 1976 he joined the Architectural Association in London and established Steven Holl Architects in New York City and subsequently a further office in Beijing. His publications include Architecture Spoken (2007), Questions of Perception: Phenomenology of Architecture (2007) and Parralax (2000). He has received architectures most prestigious awards and prizes. In 2003 he became an Honorary Fellow of the Royal Institute of British Architects (FRIBA). In 2002 the Cooper Hewitt National Design Museum, awarded him their National Design Award in Architecture. In 2001 France awarded him the Grande Médaille dOr, for Best Architect of the Academy of Architecture; and in the same year Time Magazine declared him Americas Best Architect for his buildings that satisfy the spirit as well as the eye. In 1998 he was awarded the Chrysler Award for Innovation in Design and in the same year was the recipient of the prestigious Alvar Aalto Medal. The New York American Institute of Architects awarded him with their Medal of Honor in 1997. In 1990 the American Academy of Arts and Letters selected Steven Holl to receive the Arnold W. Brunner Prize for Achievement in Architecture as an Art. Most recently, Steven Holl Architects' Horizontal Skyscraper and Knut Hamsun Center received 2010 AIA NY Honor Awards, and the Herning Museum of Contemporary Art received a 2010 RIBA International Award. Previous recipients of the prestigious Jencks Award: Visions Built include Zaha Hadid, Foreign Office Architects, Peter Eisenman, Cecil Balmond, UNStudio, Wolf D. Prix &Coop Himmelb(l)au and Charles Correa.